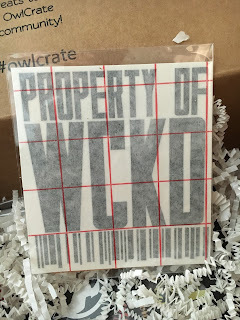 April 2016 Owlcrate - Dystopia! 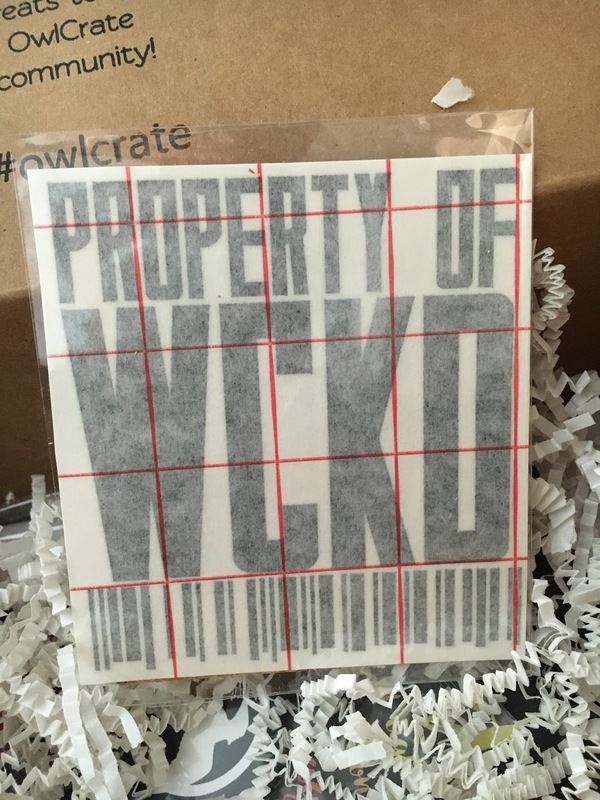 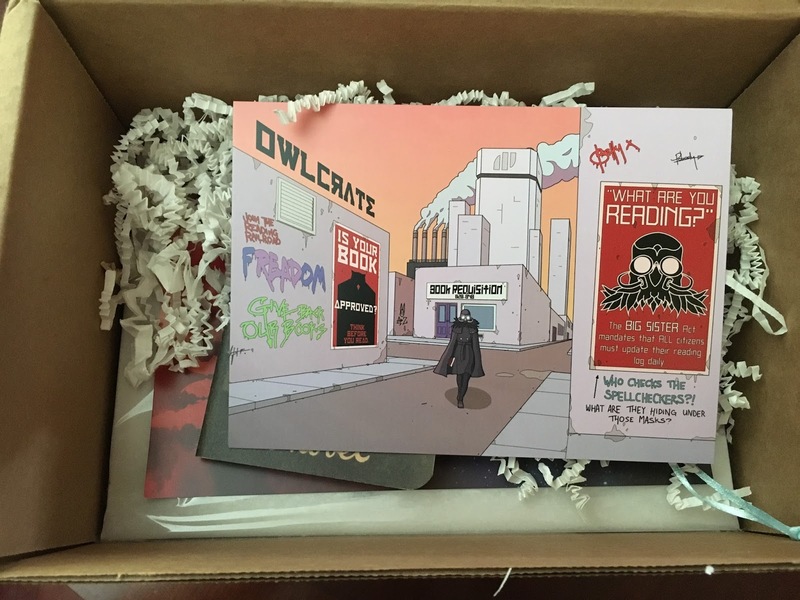 Every Owlcrate comes with a themed postcard. 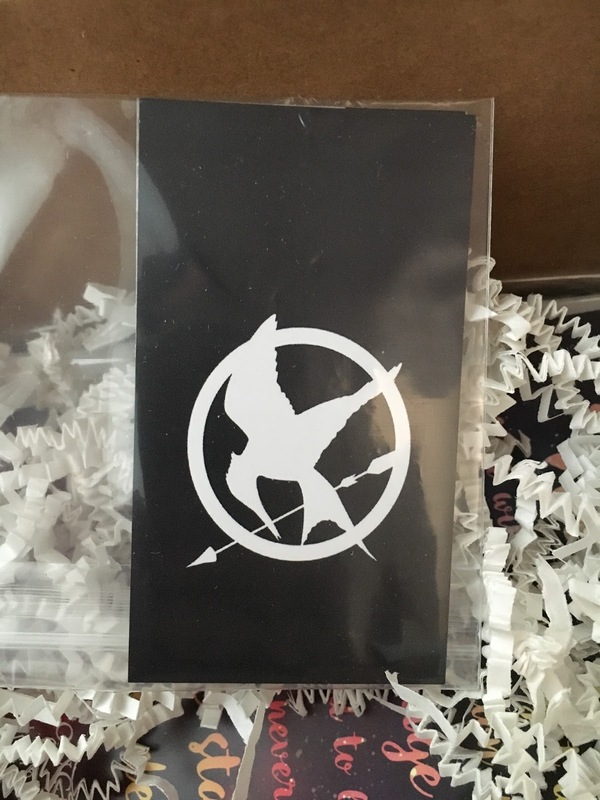 The front has some cool artwork, and the back details the items in the box. 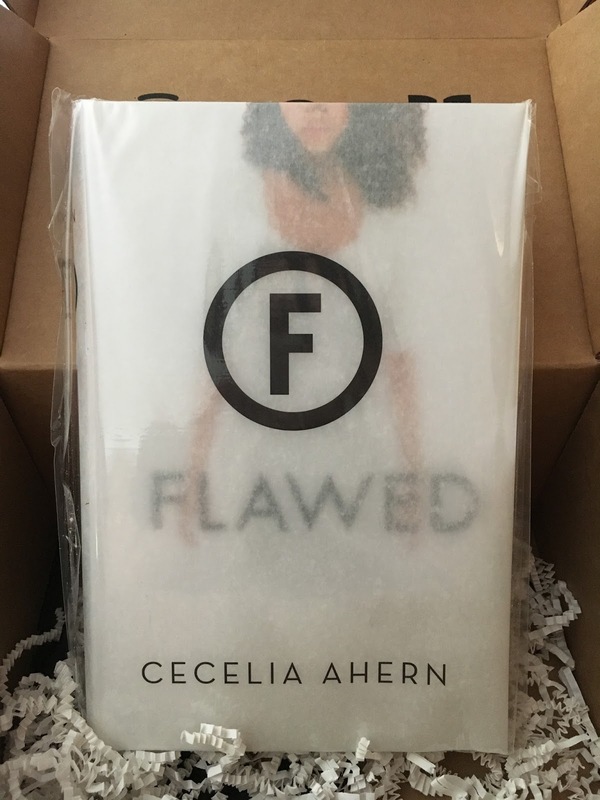 The book in this month's box is Cecelia Ahern's Flawed. 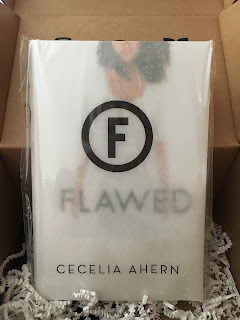 I reviewed this recently, and while I'm disappointed that I got a book I've already read (not Owlcrate's fault - that's just the risk of surprise subscription boxes), I did only have an uncorrected digital galley, so it's nice to have a finished hardcover copy. 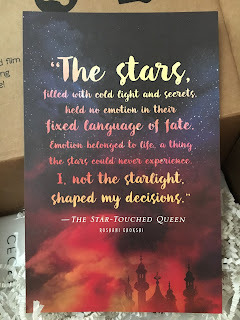 I love that the book jacket is translucent - the image of Celestine is printed on the actual book itself. 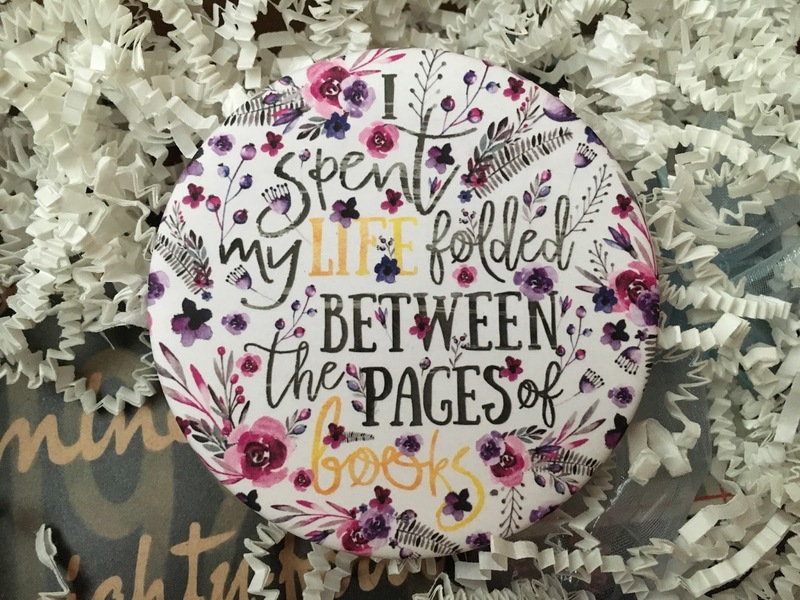 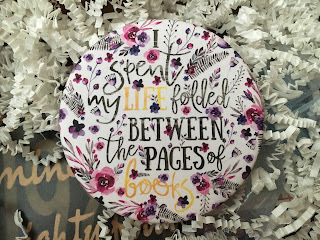 This coaster is from Evie Bookish, whose shop I've been stalking for a while, so I was glad to get this. 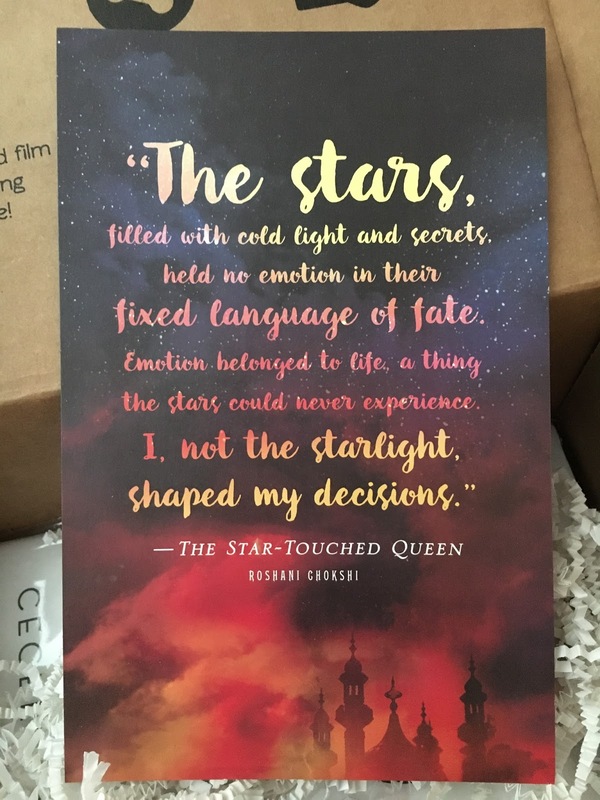 The quote is from Tahareh Mafi's book, Shatter Me, which I have but haven't read yet. 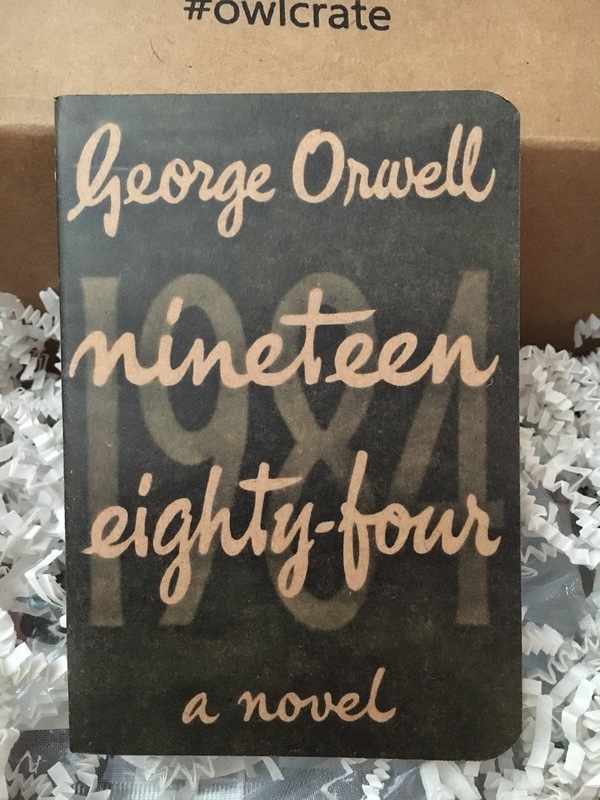 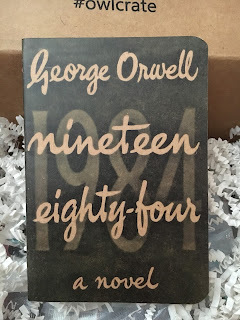 This mini notebook featuring 1984. 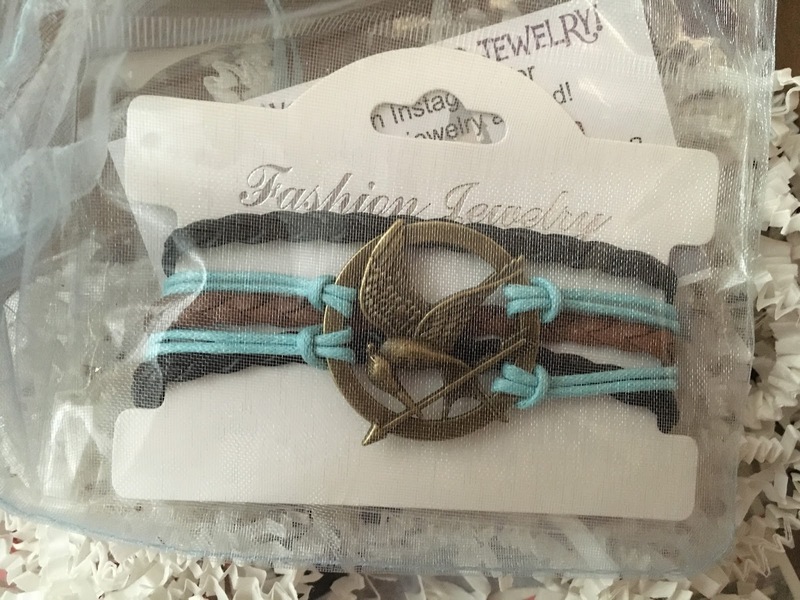 This awesome mockingjay bracelet from The Geeky Cauldron, which I also stalk sometimes. 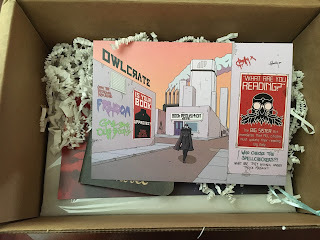 If you are interested in subscribing to Owlcrate yourself, please feel free to use my referral link.